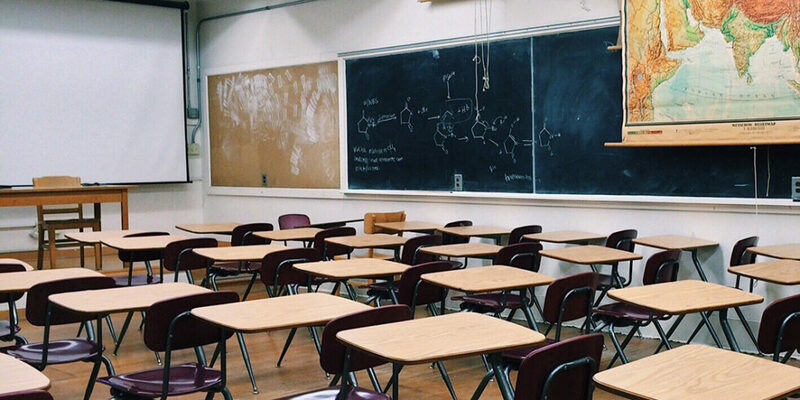 A recently released study by the IZA Institute of Labor Economics found that economically disadvantaged black male students who had at least one black teacher in third, fourth, or fifth grade were far more likely to graduate high school. According to the study’s researchers, having a teacher of the same race during these elementary school years “reduced the probability of dropping out of high school among low-income black males by seven percentage points, or 39%.” This particular demographic was also 29 percent more likely to consider pursuing a post-secondary degree. “We’re seeing spending just one year with a teacher of the same race can move the dial on one of the most frustratingly persistent gaps in educational attainment — that of low-income black boys. It not only moves the dial, it moves the dial in a powerful way,” said Nicholas Papageorge, a co-author of the study. Past studies on the effects of teacher demographic representation tended to focus on short-term outcomes (e.g., standardized test performance, attendance, suspensions); however, this study takes a longitudinal look at the impact teachers of color can have on the educational trajectory of students of color. Researchers reviewed administrative data on roughly 100,000 black students in North Carolina public schools who enrolled in the third grade between 2001 and 2005 and tracked their progression through the remaining elementary and secondary grade levels. Papageorge and his colleagues speculate that the “role model effect” may explain why black students attain higher levels of education when paired with black teachers. “Many of these kids can’t imagine being an educated person and perhaps that’s because they’ve never seen one that looks like them. Then, they get to spend a whole year with one. This one black teacher can change a student’s entire future outlook,” said Papageorge. Suspensions can have immediate detrimental repercussions on student performance, attendance, and behavior as well as long-term consequences, for example, increased risk of dropping out of school or being caught up in the criminal justice system. Constance Lindsay and Cassandra Hart, co-authors of the previously mentioned studies, looked at whether race and gender matches between students and teachers impacted disciplinary outcomes. They found “clear evidence that elementary school students are less likely to be subjected to exclusionary discipline when their race matches that of their teacher.” Black male students were the largest impacted group. When these students were assigned a black female or black male teacher, their likelihood of receiving suspension or expulsion decreased 15 and 18 percent, respectively. Some areas of the country are taking steps to develop a more diverse workforce. For instance, Seattle established a teacher training program for that expressed purpose. “Forty-one percent of [its graduates] are teachers of color—double the 20 percent diversity rate for all teachers who work in Seattle Public Schools, and four times the state rate of 10 percent,” according The Seattle Times. Graduates of the program commit to teaching five years at a high-poverty school or in a special needs classroom. Despite the program’s successful track record for increasing diversity, the price tag of the program may deter cash-strapped states and localities from adopting similar ones. Seeing the positive influence that just one black teacher can have on a black student’s life, Papageorge believes that school districts should consider the short-term solutions available to them. “I think we can take the teaching force we have and do some thoughtful reassignment coupled with some intentional hiring and get this going quickly…. A lot of the stuff I work on is like, ‘Oh here is a policy you might want to implement in 10 years,’ but with this you can do it tomorrow,” he said.